Improving UX and putting it to work is easier than you think. If you manage a healthcare practice, you can quickly expand your team’s patient registration, consent form and electronic health record capabilities while enhancing information security with Scriptel’s Health IT products. All are backed by exceptional service. Retailers and other business professional can expand their own signature pad capabilities with help from Scriptel. If you’ve already taken steps to introduce paperless technology in the marketplace, leverage that existing infrastructure by using ScripTouch products to reinforce that foundation and outpace the competition in the coming year. Scriptel’s ST1500B and ST1501B now let you provide consumers with an even better signing experience. 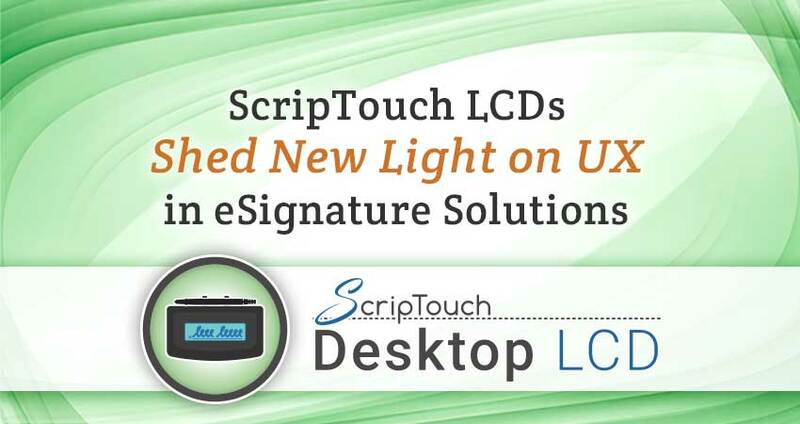 Like all ScripTouch signature pads, they are: verified Citrix-Ready for seamless integration, designed for use in low- or high-traffic settings and capable of capturing 1 Million signatures or more.